RARE SEALED POKEMON: THE FIRST MOVIE ANCIENT MEW PROMO CARD! DOUBLE HOLO FOIL! 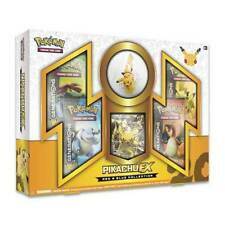 Pokemon Jungle Booster Pack LAST TWO LEFT!! Language: Japanese. Total of 100 cards. These are Pokemon Cards. The item is replica only. Not suitable for children below 3 years old! All cards are 100% high quality, english cards! not original. (All cards are created cards). These cards are copy ones, not official original ! Eevee snorlax GX 120/181 Ultra rare SM team up NM! 18 Pokemon Cards. Material: Paper. - A lot of Cards for a very low price. Model: SM8b. - Title: GX Ultra Shiny. - Pokemon Character Cards. - Manufacture: Pokemon Korea. - Language: Korean Version. Total 150 Cards (Random). 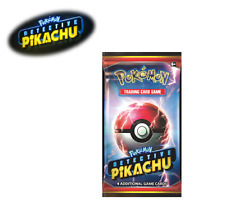 The Pokemon trading card game is for anyone of any age. All you need to play the game with your friends or even to compete in an organized tournament is a deck of 60 cards. 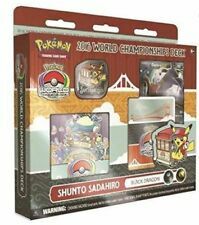 Starting or adding to your Pokemon card collection can be fun and entertaining. 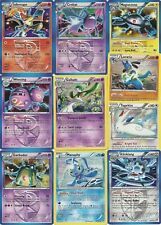 What is the Pokemon trading card game? This game involves two to four players using the Pokemon cards to battle. During a player's turn, they will move whatever Pokemon card they have on hand. They can also use Energy and Trainer Cards to decrease the health level of the other players' Pokemon. The winner of the game is the person who has either defeated all of their opponents Pokemon or accumulated six Prize Cards. How many Pokemon trading cards are there? Pokemon: Every Pokemon card comes with its own characteristics, including skills and attacks that can be used in battle. Trainer: These cards are tools, items, and other types of support that can benefit the player and their Pokemon. Energy: These are necessary for the Pokemon to attack during a game. How many Pokemon cards are needed to start playing? There are 60 cards in a standard game deck. 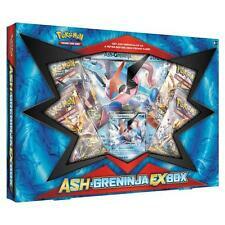 A typical deck for an Evolution will have 15 to 20 Pokemon cards, 10 Energy cards, and 10 Trainer cards. Each player starts with cards in hand at the beginning of the game. Thereafter, each player draws one card when it's their turn to play. Booster packs have 10 cards. Theme packs have 60 cards. 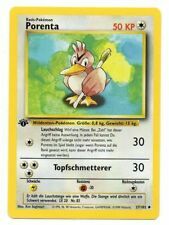 What makes a Pokemon card rare? What is the Pokemon TCG expansion? Call of Legends Series: A series is a set of these expansions that follow a theme. This small series happens to feature legendary Pokemon. XY Series: This was the first expansion pack in the TCG. 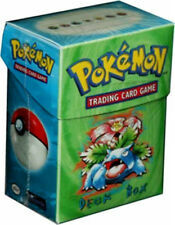 It includes classic Pokemon cards like Pikachu and Venusaur. Sun and Moon Series: This series was the first one that featured Pokemon GX. Burning Shadows: This series introduced a variety of new Pokemon GX, including Ho-Oh, Necrozma, and Rainbow and Prism Pokemon. Content provided for informational purposes only. eBay is not affiliated with or endorsed by Pokemon.